Taking your clients for granted is a decent way to make sure they head into the welcoming arms of your competition. You should always be testing and tweaking new ways to draw new clients in and to improve the services you offer your current clients. Take a look at the points below to see if you’re falling into any of these customer-relation ruts, and we’ll explore how outsourced accounting tasks will help you improve your performance. You’re writing your own contracts. Yes, attorneys cost a nice chunk of change. And yes, it is possible to download contracts from the internet and just fill in the blanks. The problem is that while you think you might have covered everything you need in the contract, you might be leaving out the language you need to protect you to keep things out of the contract. It’s well worth spending the extra money on an attorney to make sure you’re covered in the language about what your business is expected to do, and what you don’t have to do to complete your contract. And by using an outsourced accounting team you’ll have the extra cash on hand to pay for the added level of protection provided by a proper contract attorney. You’re not finding new ways to earn loyalty. You must earn your customers’ business every day. The idea of customers or clients sticking it out with you purely because you’re local or you were their first business in your field that they interacted with is long gone. You must offer more value than your competition. You can do this by fully exploiting your outsourced accounting team members – use them to increase the speed you turn over clients’ files (while maintaining or improving the quality), and by expanding the amount of services you can offer your clients. You’re not tweaking your pricing. Your goal shouldn’t be to pull in flocks of clients if that means you’re lowering your prices. For those of you with hordes of clients, consider your pricing versus hours worked – are you killing yourself hour-wise in an effort to keep everyone happy at your lower prices? It’s time to start raising your prices so that you’re bringing in the same amount of money for fewer hours worked. It’s also time to use utilise outsourced accounting tasks in order to reduce your personal (as opposed to firm-wide) number-crunching hours. You’ll have more time to work on the big-ticket services, and in doing so you’ll become more attractive to higher-paying big-ticket clients. You’ll end up being paid more for fewer hours worked. You’re expecting clients to want what they need. So your outsourced accounting team has granted you the ability to offer your clients more essential services. Great! The problem is that clients don’t know that payroll, bookkeeping, etc. handled by a pro is good for them. They see these things as luxuries and they don’t feel like they’re in a healthy enough financial position to pay for them. Your task is to present these services not as luxuries, or even as services, but rather as tools that will help your clients expand. Give them a discounted package of services, or even one month free, and knock it out of the park by showing them how the services give them a much clearer picture of their business’ finances and relieves them of hours of bookkeeping and the related stress. At that point they’re going to wonder how they ever lived without your additional services and they’ll consider paying for them as essential operating costs instead of luxuries. 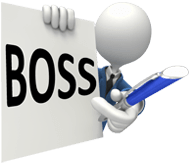 Your job as the big boss is customer satisfaction. You’re the one who needs to interact with your clients and find out what they like, what they don’t like, and what more they need from your firm. Most of the rest of the work you do can be delegated. Can’t afford a bunch of in-house staff? That’s fine, outsourced accounting team members are as good as or better than anyone you can hire in-house and they’re going to cost you far less. If you’re not delegating, you’re losing quality-control time, and that means that you’re losing client satisfaction. You don’t have to spend thousands on old-school marketing. But you do have to get involved in social media. Word-of-mouth is the most trusted form of advertising, but if you don’t have any clients yet to talk about you then you won’t have any mouths to spread the good word about your firm. Social media marketing does take some time – you have to set up blogs and interact on various platforms like Facebook and LinkedIn. You’ll save the time you need (and more) by using your outsourced accounting team to do your number-crunching for you, leaving you to do just a simple quality assurance check one the file is returned. You think that none of the above matters because you’re the only game in town. You might be the only pony in the race for a particular niche you’ve carved out for yourself. That may be true right now but it will change in the future. International concerns are encroaching on local firms, and the internet extends the reach of every firm in the country. The internet also offers your clients lots of do-it-yourself forms and accounting tips. You are in competition right now even if you don’t realise it. You must keep tweaking and improving your firm in order to keep it appealing to your current and potential future clients. An outsourced accounting team is a massive tool that can help you both avoid the above mistakes as well as continuing to improve your firm’s appeal.